MACON, Ill. – There’s another prize for the top five finishers for the Big Ten Series Late Model race during Kid’s Castle Night at Macon Speedway Saturday. Each of the top five finishers in the Big Ten Series Late Model feature at Macon Speedway Saturday receive two free pit passes to the SuperChevyStores.com 100 at the Illinois State Fairgrounds on Aug. 17. It’s a great chance to see how crews in the ARCA Racing Series by Menards set up their stock cars for one of two dirt track events on the national tour. The pit passes are good for the Late Model driver and a guest. They are not transferrable. Macon Speedway wants to provide local racers with the opportunity of a behind-the-scenes look at a national series right here in our own backyard, thanks to Track Enterprises, Inc. 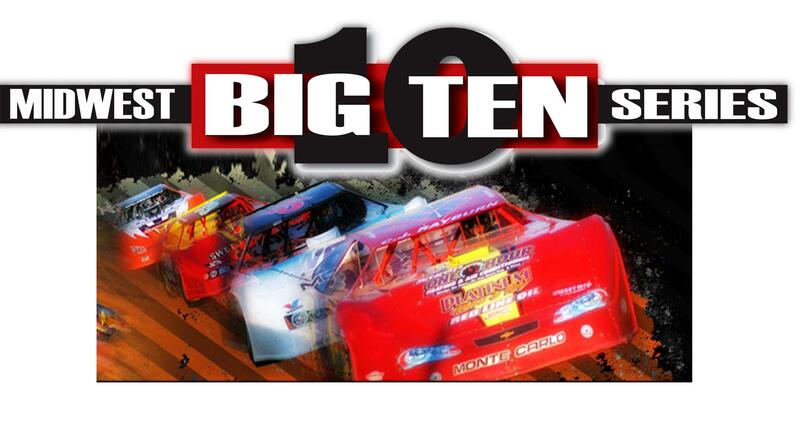 The Big Ten Series Late Model race is just one of the big activities Saturday at Macon Speedway on Kid’s Castle Night. The B.G. Nevitt Memorial Faster Pastor Race brings together area ministers in a race of four-cylinder Hornets as we honor Nevitt, the race’s defending champion and a Decatur civic leader who passed away last summer.The senior pastor at gtChurch not only touched his congregation through powerful messages but also preached to a large group on the radio, television and Internet. Nevitt’s work with the Decatur Police Auxiliary, Macon County Sheriff’s Department and the coroner’s office also made a difference. Pastor Rick Spangler of gtChurch will attempt to defend Nevitt’s title. He will be joined in the race by Pastor Doug Lowery of Maranatha Assembly of God in Decatur, Pastor J.J. Hairston of Galillee Baptist Church in Decatur, Pastor Richard Chappell of Body of Christ Ministries of Macon, Pastor Rod Hite of Destiny Fellowship in Moweaqua and Pastor Mark Amenda of Mazon United Methodist Church, who returns to his adopted hometown. Macon Speedway invites all former drivers to return to the track for a reunion and a program to recognize its Hall of Fame drivers. Last year’s turnout was great, and Macon Speedway plans to make it bigger and better this year. CEFCU Kid’s Club will also meet to entertain the kids while moms and dads can concentrate on the racing for a moment. Besides Big Ten late models, Billingsley Towing Modifieds, Street Stocks, Sportsman, Outlaw Hornets and Stock Hornets will also race. Gates open at 5 p.m. with racing at 7. Also, stock cars return to Taylorville (Ill.) for the first time in decades with the Larry’s Service Center Triple 25’s at the Christian County Fair on July 24. Street Stocks, Sportsman and Hornets compete on the quarter-mile oval.